Does the thought of mouth germs taking up residence on your teeth make you feel a little uncomfortable? It should! Masses of harmful microorganisms in the mouth can form plaque, the sticky substance that adheres to the teeth and gumline. Plaque can really harm your teeth and gums. When it isn't removed by regular brushing and flossing, it can lead to cavities and gum disease! Find out what you can do to reduce the amount of germs in your mouth. Toothbrushing is a powerful tool for fighting germs. At the minimum, brush twice a day with a fluoride toothpaste; once after breakfast and once before going to bed. There is no harm in brushing your teeth more frequently. You can brush after meals to cut down on plaque formation and to freshen your breath. Spend a full two minutes gently brushing all surfaces of your teeth and your tongue. Use a toothpaste like Colgate Total that is designed to keep your mouth clean and to fight germs. Bacteria can flourish on your toothbrush as well. Change your toothbrush when it begins to look worn, according to American Dental Association. The American Dental Association recommends switching to a new brush about every three to four months. It is best to leave your bristles in the open air; a closed, moist environment can harbor more bacteria. Also, don't share brushes; it is possible to transfer mouth germs this way. Daily flossing is another important way to keep your mouth clean and healthy. Flossing can help to remove plaque from places that your toothbrush can't reach. Slide your floss in between the teeth. Also clean at the base of each tooth, removing plaque and food debris from underneath the gum line. 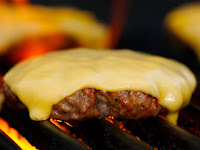 What you eat can also help to support a healthy smile. Eating lots of sugary and starchy foods will increase the amount of sugars that are available for bacteria in your mouth to thrive upon. 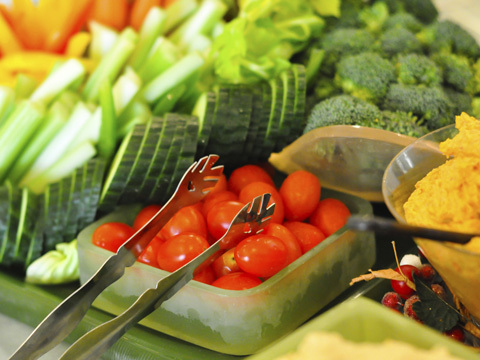 Try cutting back on sweet treats and snacking on fresh fruits and veggies instead. When eating grains, be sure to choose whole grains. Take good care of your teeth with daily brushing and flossing. Eat a balanced diet and see your dentist for regular check-ups. Your dentist can check for signs of cavities and gum disease, the dental hygienist can also clean your teeth, removing the plaque and tartar (hardened dental plaque) that is on your teeth. With excellent oral hygiene, mouth germs don't stand a chance! 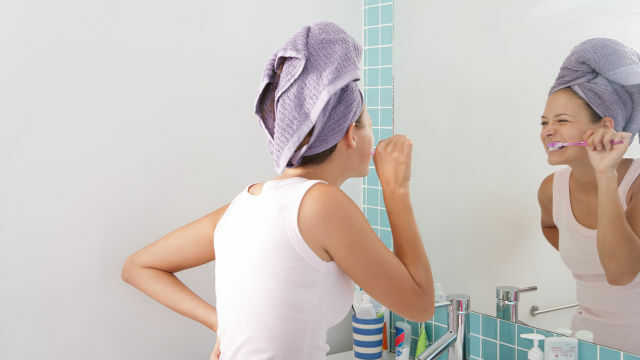 Everyone knows that brushing their teeth plays a major role in their overall health, but they may not be aware of the correct way to brush their teeth. The American Dental Association recommends that you brush your teeth at least twice each day; here is a quick guide to ensure you know how to do it properly. Purchase the right toothbrush. Before you even begin the process of brushing your teeth, it's important that you have the right toothbrush. The type of toothbrush you select depends on your specific needs. If you need a toothbrush mostly for removing plaque, a soft-bristled brush is best. On the other hand, if you are concerned about reaching hard-to-reach spaces, you should consider a toothbrush with a smaller head. in the Colgate Oral Care resources. Take your time. You should spend at least two minutes brushing your teeth. This may seem like a long time - the average person usually falls short of this goal - but it is necessary ensure that your teeth are clean. If you're worried about reaching this goal, consider investing in a toothbrush that has an automatic timer or use a stopwatch. Be thorough. Tilt your toothbrush to a 45 degree angle and ensure that you are cleaning both the outer and inner surfaces of your upper and lower teeth. It is equally important to clean the chewing surfaces of your teeth, as well. Be gentle. When brushing your teeth, it's important to use short, precise strokes. This ensures that you don't cause any trauma to your mouth and that you reach the specific areas you are trying to target. You should brush the entire surface of the tooth in a gentle back and forth motion. Don't forget your tongue. Brushing your tongue is an essential part of maintaining proper oral care. Many people often overlook this step, but it is important to both your overall oral hygiene and the freshness of your breath. By following the information in this guide, you and your family can have healthy teeth and gums to last a lifetime. 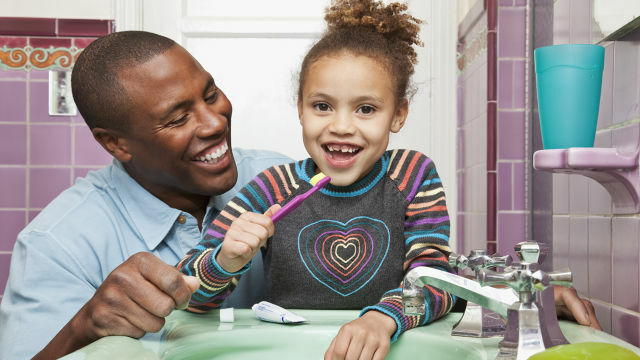 As a parent, you can work with your children to help them understand why good oral care is important - and show them how to do it right! Brush at least twice a day with a fluoride toothpaste, especially after eating breakfast and before bedtime. 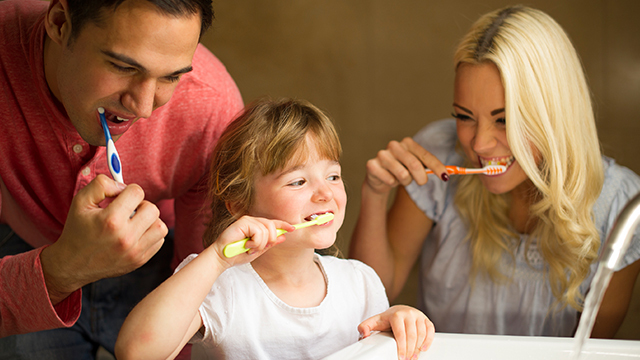 It's easy to guide your family toward good oral health. All it takes is the right information and a little practice to keep them moving in the right direction! A list of preventive dental care tips!